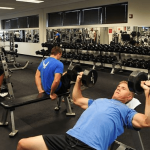 Lifting weights, strength training or bodybuilding are all names given to the sport of enhancing one's physique, it is probably one of the best ways to stay in shape and burn calories. I personally began weight training when I was in my early teens, I lived in Mexico, and other than soccer there were not any other group sports so I began lifting weights. 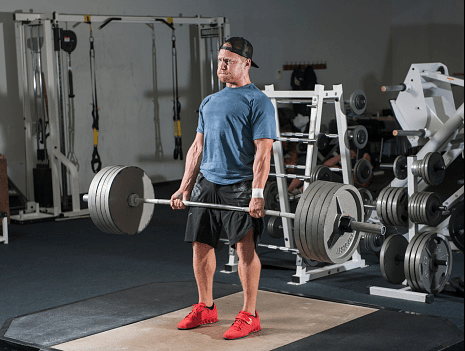 Unless you are lifting heavy weight you really do not need a training partner, which is what makes strength training the ideal exercise for anyone, unless you are trying for your one rep max, doing squats or bench press, you don’t need a partner. 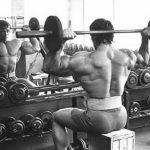 Most gyms have a good selection of heavy dumbbells letting you gradually increase your weight over time without the need of a spotter, in those cases when you would like to max out the weight you can always use a smith machine. One of the great things about weight training is that for the most part most of the things that are required for strength training don’t require a lot of space, so almost anyone can set up a personal gym in their garage or spare bedroom, otherwise regardless of time of year when it gets hot there are many gyms that are air-conditioned and the same goes for the winter months, if you live in a cold country there are gyms that are heated, this makes it the ideal year-round sport. Unlike many sports where you have many team players, strength training only involves you, if you do not push yourself you will not see gains, this takes a lot of dedication and discipline, not only to make sure you train at least 5 days a week, but when you do train to make sure you keep on increasing the intensity “and the weight”, at the end of the day the only person who is benefiting from training is you and no one else. The other aspect of dedication and training is the fact that all that hard work in the gym will often flow over to other aspects of your life including better work performance and just striving to be better at what you do. Lifting weights does not require a lot of equipment. My first Olympic weight set and a bench cost me less than $150.00. You can set up a small home gym with a bench and weights making it easy to train at home (no excuses). 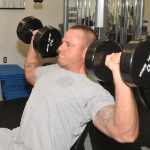 Lifting weights if done properly will increase many aspects of your health, improving energy, help you build muscle, improve testosterone and HGH levels which are very important for men as they age, overall, muscle burns more calories than fat making it easier to maintain a healthy weight. If you train correctly you can be in and out of the gym in less than an hour, granted I have trained back and chest performing supersets which can be intense, that is my own way of implementing cardio at the same time, but if you focus on one body part per day it can easily be done within an hour. As you can see strength training has some great benefits, if you have never tried it there is no time like the present to give it whirl, it will transform every aspect of the way you look and feel. 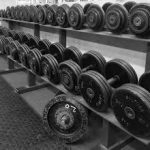 Blasting out those last excruciating reps with heavy weights is something that no one else can take away from you, which is why strength training is so awesome.